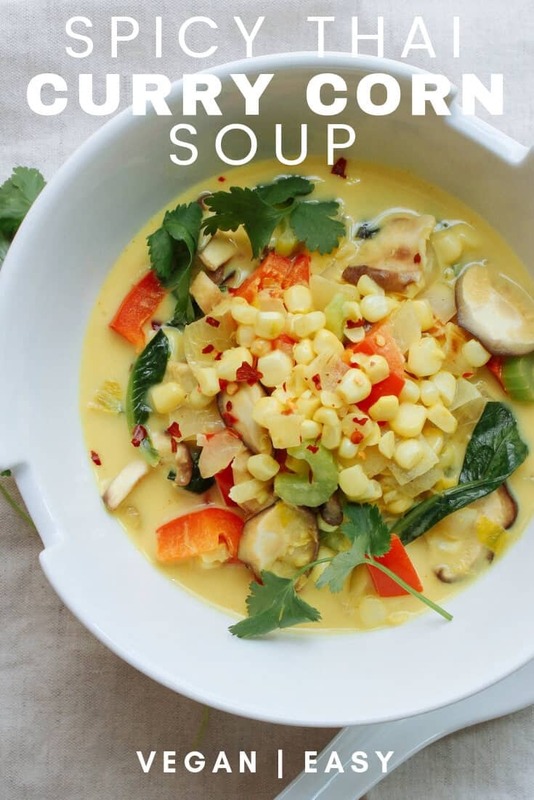 Corn is still in season and this Spicy Thai Corn Curry Soup recipe with coconut milk is a perfect place to feature it. I love corn so much, I literally eat it fresh off the cob, without cooking. It’s so sweet and delicious! I’ve also found a new love for curries these days. My past experiences with curry have not been very good, but I can put the past behind me now and move forward loving this fragrant spice all the way. All together this was such a flavorful dish! 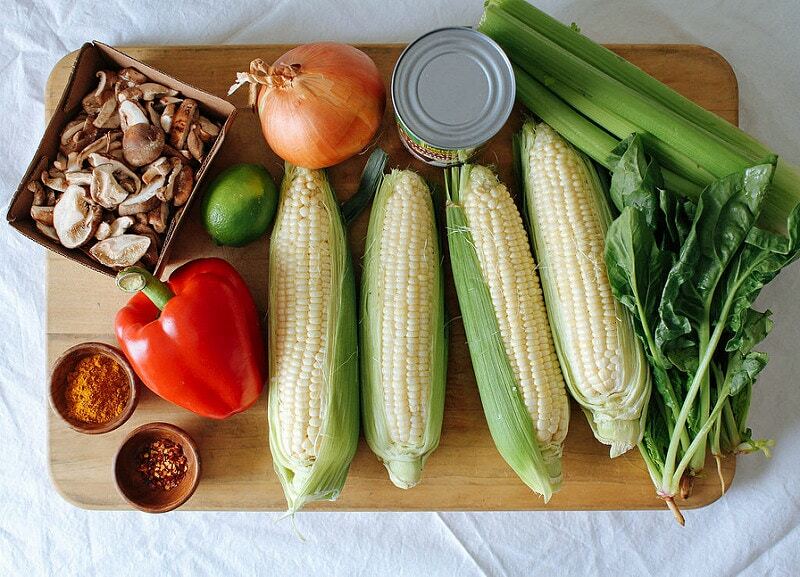 The sweet corn pairs well with the spice from the red pepper flakes and curry while the coconut wraps it all up making this a great dish to come back to again and again. I would consider this a lightly cooked meal, the veggies, except onion, garlic & spinach, are crispy and close to fresh. It’s also an easy dish to put together from start to finish, and will be ready in about 30 minutes. 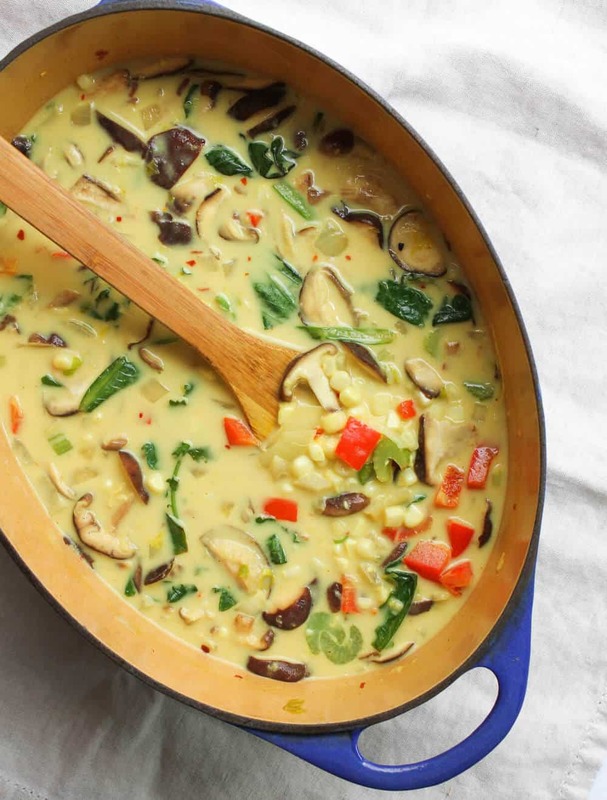 Five hearts for this soup! 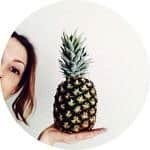 I wanted to show you my preferred method for removing corn from the cob. If you’re new to cutting corn of the cob, this will help you keep the corn kernels from scattering all over your work space. I use a shallow pie pan for the job. Holding the corn upright, take a sharp knife and cut the corn off the cob, turn the corn a bit and continue until all the kernels are removed. A look at my diced veggies and coconut milk above. I used shitake mushrooms here but just about any mushroom will do, just be sure to chop them if needed. 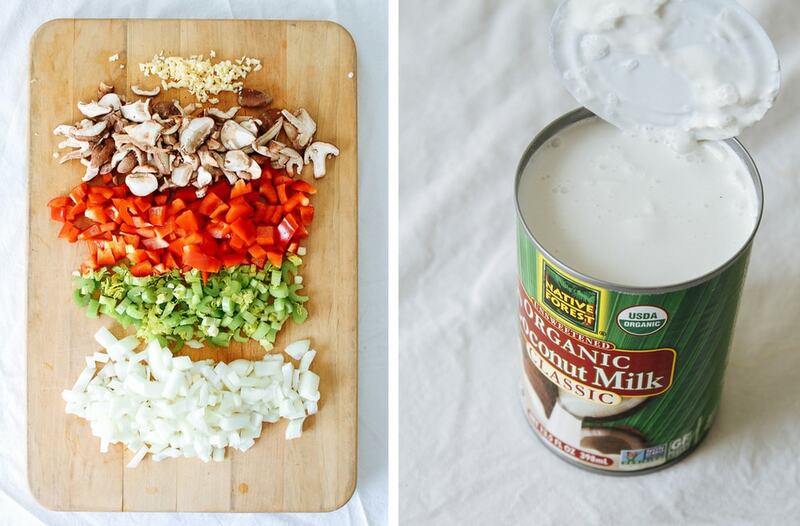 Use full-fat or light coconut milk. This soup comes together fairly quickly without too much hassle. 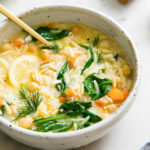 Like I mentioned above, the vegetables are meant to be some what al dente but feel free to cook your soup a little longer over low heat if you prefer softer veggies. Round this meal out with some cubed tofu thrown in. 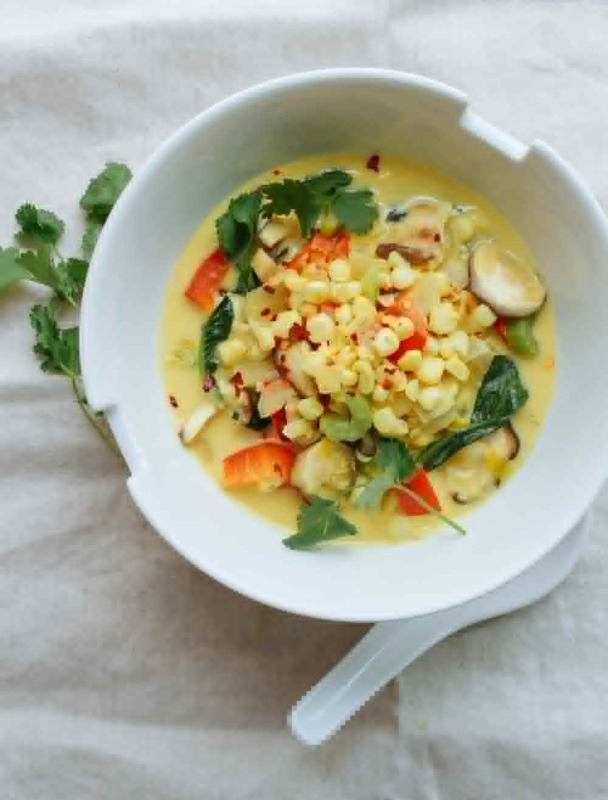 A combination of simple, delicious flavors come together in this Thai inspired corn and coconut soup. Ready in about 30 minutes! Heat oil in large pot over medium high heat and saute onions until translucent, about 5 minutes. 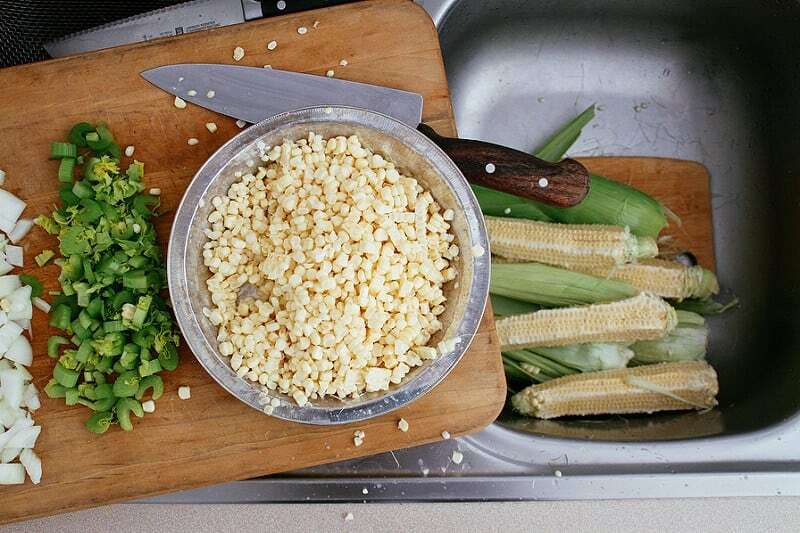 Add garlic, corn, celery, bell pepper and mushrooms, cook 3 – 4 minutes more. Add coconut milk, unsweetened non-dairy milk, water, curry powder, red pepper flakes, juice of lime, salt & pepper to taste and cook on medium heat for 10 minutes or until heated through. Add spinach and cook until softened to your liking. Test for flavors adding more spices if desired. Serve with lime wedges and cilantro if you like. Looking to add protein, throw in some cubed tofu when you add the liquids. Ginger would be great in this. Try adding about 1 inch knob grated ginger with the other spices. It will add another layer of flavor! For the greens, I have used spinach, baby kale and/or arugula in the past. All worked well.1 teaspoon of red pepper flakes makes this pretty spicy, use less if you’re not a fan of heat. 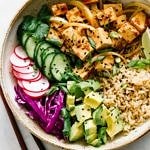 I used shitake mushrooms here but you can use your favorite or what you have on hand. 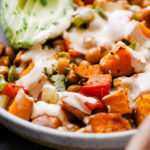 Can I use frozen corn for this recipe? Which curry powder did you use? There's so many to choose from I never know which goes good with what!? 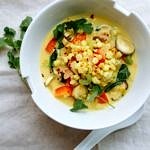 I use the yellow curry powder I find in the spice isle at the grocery store. Usually there's only one in that section, use that one. It's a mix of a few of the following: cumin, coriander, turmeric, cayenne. 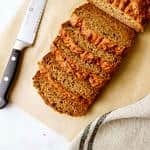 Sometimes it may also include any of the following: ginger, cayenne, , cinnamon, cardamom, pepper, chili powder. Each brand will vary depending on what ingredients they use. This was easy and absolutely delicious!